The NLRB, in response to a federal court decision issued on Monday, May 15, has suspended the implementation of the changes to its union-representation-election process. 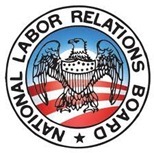 The NLRB adopted the changes administratively in December of 2011. They took effect on April 30, 2012. A federal court found the process used to adopt the rules to be invalid because the Board did not have a quorum when it voted on the rules. NLRB chairman, Mark Gaston Pearce, suspended implementation of the rules in response to the ruling. He said the NLRB is reviewing the Court decision but is “determined” to move forward with the rule changes. In a related development, Acting General Counsel, Lafe Solomon, withdrew the guidance to regional offices that he had issued before the effective date of the new election procedures. As a result, the Regional offices will follow the election process and practices prior to the revised rules until further notice. Up to 150 election petitions are affected by this decision.